A few weeks ago I was catching up on last year's season of the HBO comedy Veep. (I'm still a little behind, but at least I'm in the current season now.) There was a scene that not only was hilarious, it reminded me of a great American song. In that scene, Mike, the vice president's communications director, is trying to convince Jonah, a former White House staffer turned vindictive gossip blogger, not to publish an unflattering story. In an act of voluntary humiliation, Mike agrees to get down on his knees and sing Jonah a song. That song, of course, is "Goober Peas,' which goes back to the American Civil War. Jonah makes Mike beg for mercy. The fact that Jonah doesn't recognize the name of the song "Goober Peas" only makes you hate him more. Embedding of this scene isn't allowed for some reason, but you can watch it HERE. But this little joke on the publisher's part makes you wonder whether the song actually was written by a poor Confederate soldier, or a group of poor Confederate soldiers, trying to make light of their miserable conditions. No, peanuts were not always considered a decent American snack, something you eat with Crackerjacks at the old ball game. 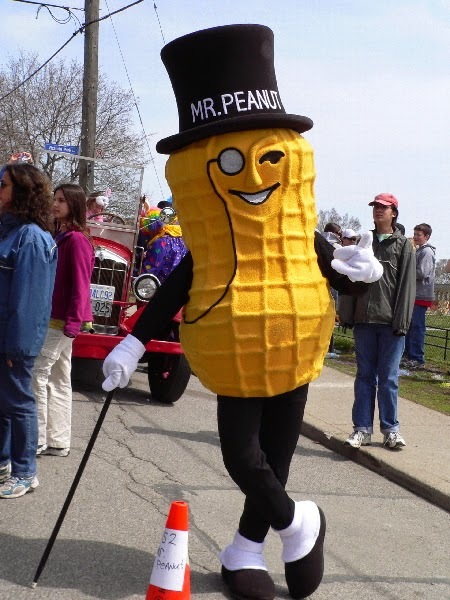 Before the Civil War, peanuts were not a widely cultivated crop in the United States—Virginia and North Carolina were the principal producers—and were generally viewed as a foodstuff fit for the lowest social classes and for livestock. But that would change thanks to food shortages during the Civil War. 'An excellent source of protein, peanuts were seen as a means of fighting malnutrition," Rhodes wrote. However, apparently they didn't help with the "rags and fleas" that plagued the soldiers, according to the song. I never had heard of this guy, Kenneth Kramm, but I think I like this version better. But despite my long affection for "Goober Peas," I think this Dizzy Gillespie classic is my favorite song about the pindar nut.